After taking a pleasant 4-hour flight from New York City, I had the pleasure of spending 5 days at the luxurious and iconic Hard Rock Hotel & Casino in Punta Cana, Dominican Republic. This opulent all-inclusive oceanside resort provided enormously spacious suites, unbeatable VIP-level service, and an unforgettable experience. 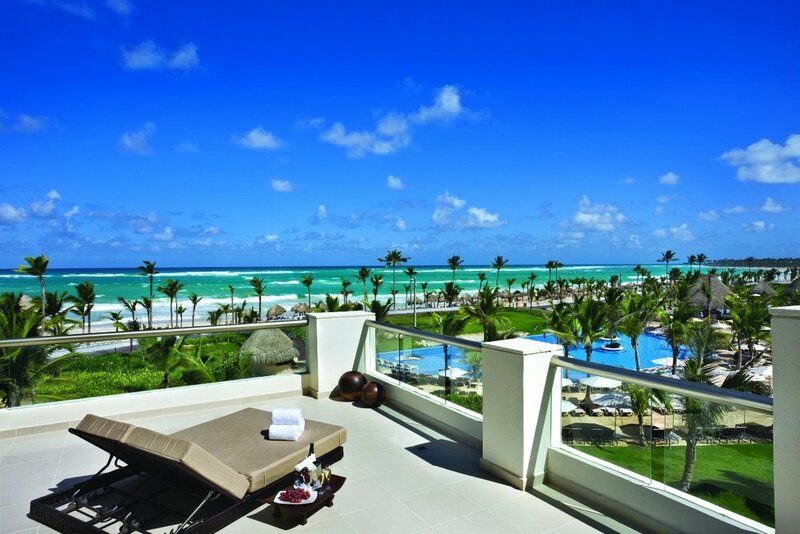 If you’re looking for the picture-perfect place to have a romantic destination wedding, post-wedding honeymoon, or simply an exciting place to vacation – The Hard Rock Hotel & Casino in Punta Cana is the place for you. Even the smallest standard suite available (The Caribbean Suite) expands over a massive 781 sq. ft. – spaciously fitting 2 people. Upon entering, there was a large closet to the right with an ample supply of hangers, 2 bathrobes, and a digital safe for valuables. To the left was an enormous bathroom with 2 modern sinks, wall-to-wall mirrors, plenty of counter space, a huge luxurious stone tiled glass encased double-headed shower, and a separate room for the toilet. As I walked past the foyer, there was a large split-level bedroom with a plush Egyptian cotton-lined bed, a marble breakfast table, a sizable flat-screen TV, large desk and dresser, fully stocked mini fridge, and a stately double Jacuzzi bathtub with bubbles supplied. My room walked out onto a large private balcony with a 2 large resort lounging chairs and a beautiful view of Hard Rock’s well-manicured gardens. The rooms only get bigger and better from here on up. 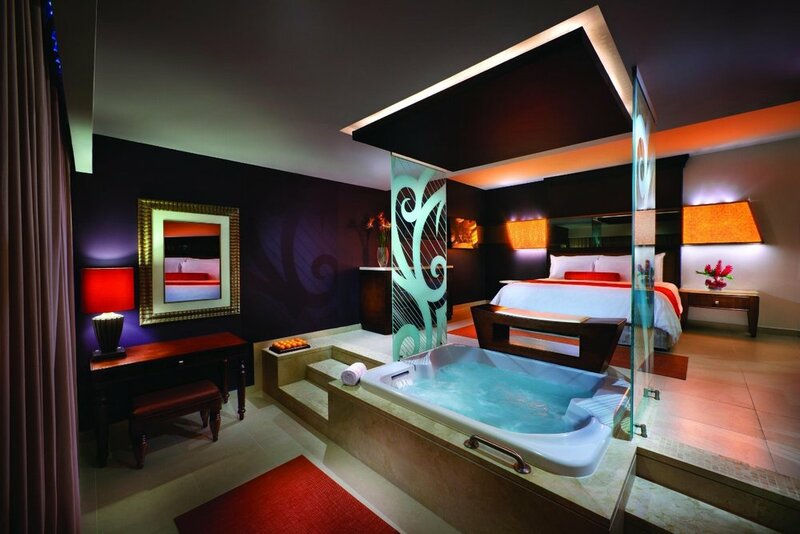 To view the list of available suite layouts, visit the Hard Rock website here. First and foremost, the 24hr room service is astounding. I never waited more than 25 minutes for my order – even when I was ordering drinks, appetizers, entrees, and dessert for 4! It was such a treat to wake up every morning to a hot pot of coffee, fresh orange juice, a fresh fruit platter, and a variety of breakfast options. The staff is very friendly and seems genuinely interested in your overall enjoyment and experience at The Hard Rock resort. Room cleanup could not be easier – you simply press a button to the right of the front door and cleaning staff comes to remove all of your dirty dishes, change the linens and towels, and restock all the toiletries. I give the overall room service and cleaning service 5 stars. In regard to the actual resort, the main complex is enormous with soaring ceilings and stately architecture throughout. 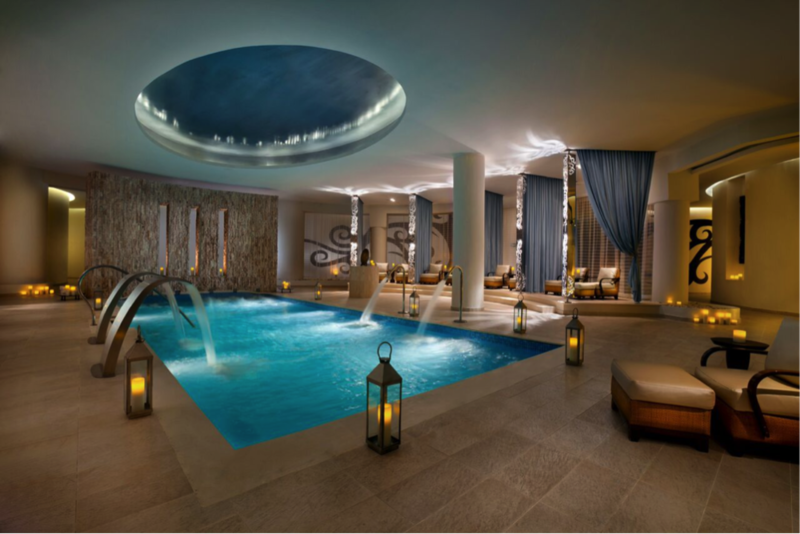 It houses not only the largest and best casino in the Dominican Republic, but also a palatial world-class spa, and one of the highest rated nightclubs in the Dominican Republic. The property offers quality fine and casual dining over its 13 restaurants – including a Japanese-style steakhouse, Brazilian steakhouse, and a lovely Italian restaurant. 13 pools expand across the resort, with one being a trendy adults-only pool (Eden Pool). Bali style beds can be reserved at Eden Pool as well as along the pristine turquoise water-lined beach. This is great for this looking to relax pool/beachside with complimentary food and drink service. Numerous other amenities are available including a well-equipped fitness center, a masterfully-designed 18-hole golf course, free parking, Wi-Fi throughout the entire resort, an on-site theater for routinely scheduled concerts, organized pool parties, and 4 beachside wedding gazebos – just to name a few! For more information on the vast amenities available, visit The Hard Rock website here. 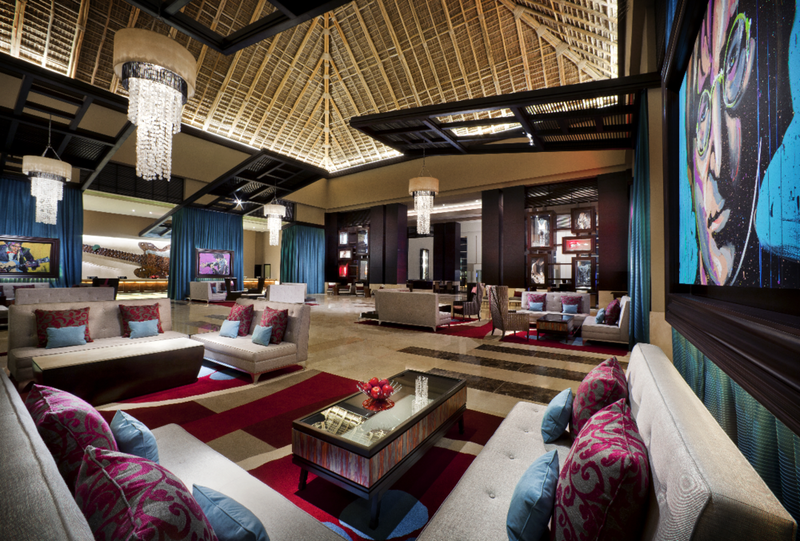 Whether you’re looking to have your wedding, honeymoon, or simply to embark on a lavish vacation, The Hard Rock offers a number unique experiences that differentiate their resort from the rest. 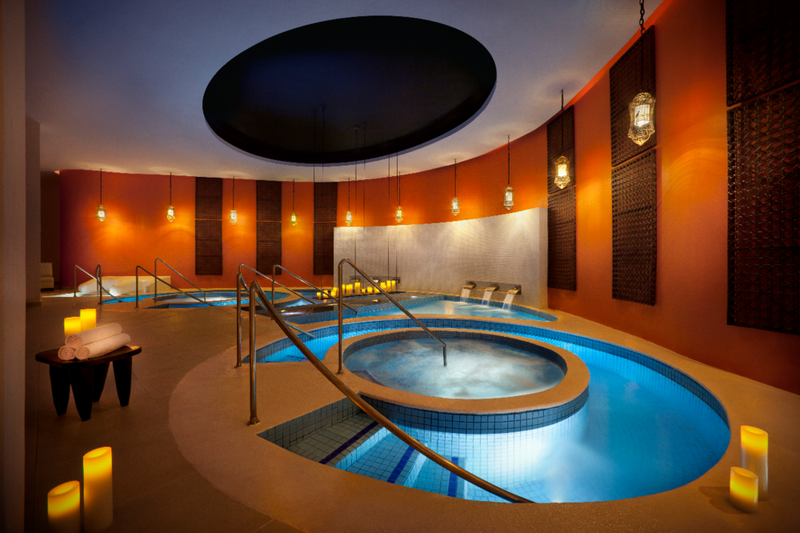 At the Rock Spa, I was able to experience their brand-exclusive famed synchronicity massage – part of Hard Rock’s revolutionary Rhythm and Motion treatment options where I received one of the best Swedish (music-infused) massages of my life. The masseuse’s movements were synchronized flawlessly with the rhythm of the music while using organic essential oils to relax and detoxify the body. After experiencing the Rock Spa, I can safely say it is easily the largest (and one of the best) spas in the Dominican Republic. 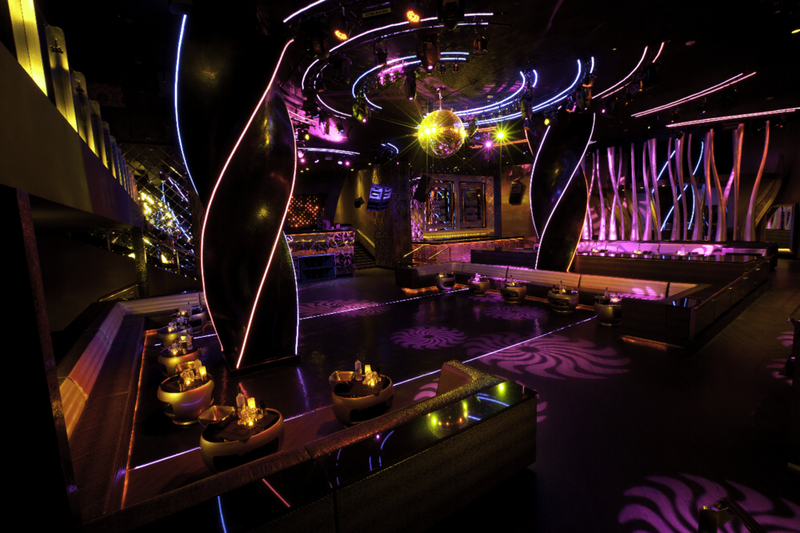 The resort also offers a hands on music experience – where guests are able to have Fender guitars and DJ equipment delivered to their rooms at no additional charge. This is a great one-of-a-kind service for those musicians looking for a resort where they can have spontaneous jam sessions throughout their trip. For prospective brides and future honeymooners, Hard Rock has partnered exclusively with Collin Cowie – a world-renowned celebrity wedding planner – to offer opulent/celebrity-style customized packages where every detail is expertly selected based off of Collin Cowie’s leading creative vision and the client’s needs and desires. Here at Hard Rock, you truly can have the wedding you have always dreamed of. For more information on booking your big day, visit the link here. 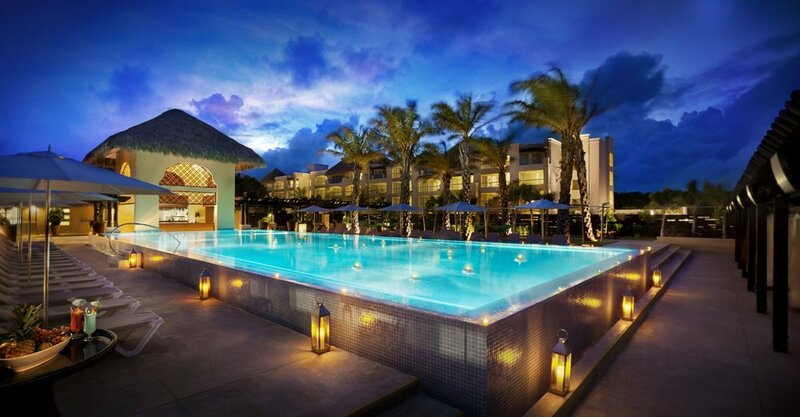 Overall, my experience at The Hard Rock Hotel & Casino in Punta Cana was nothing short of spectacular. On behalf on World Bride Magazine, I would like to praise this luxurious resort for their 5-star accommodation, amenities, and service- with a special thanks being extended to the Hard Rock staff and most gracious Paula Benzo and Willy Hobal for their unparalleled hospitality. 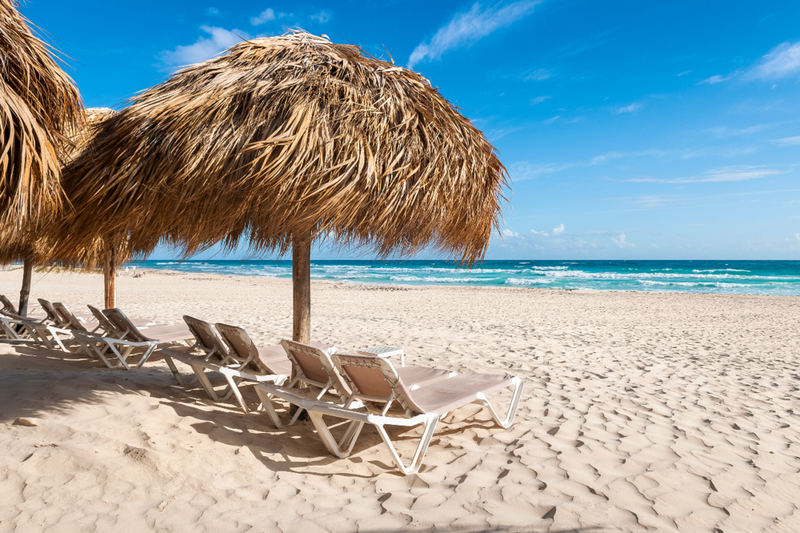 Have the experience of a lifetime and book your stay with Hard Rock Punta Cana today here.